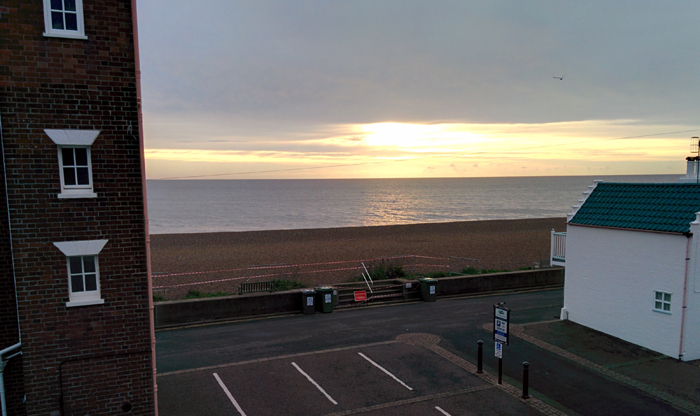 And so the inevitable Aldeburgh Poetry Festival blog post. You’ve probably read a post or two on the subject already, or at least seen the Facebook/Twitter storm of “wasn’t it amazing?” sound bites, in-jokes about poets posing as penises – (I know! Too much alliteration) – and jolly pictures of poets sipping pints. (SORRY, am doing it again.) This is quite long, but there are subheads for the skimmers! It was the first time I’d been, and clearly had a lot to learn. Still, when speaking to other ‘virgins’ I found some common themes: firstly, it’s easy to book too many sessions. I’d underestimated how exhausting it would be to go from one session to another and not schedule time for eating, chatting, walking or just sitting quietly. As it was, I certainly missed a few things I had booked for, but I don’t regret it – I had a better time for it. Secondly, be prepared for no phone signal the entire weekend. I saw a few people managing to make calls and had phone network-envy. Some were able to text. But me? Nothing. I hadn’t realised how stressy it would make me when I couldn’t talk to my husband on Friday. But thankfully there was internet, so we spoke via Skype. Thirdly, it’s important to pace yourself – not just in the number and timing of sessions, but also in the ‘meet and greet’ aspect of what is an intensely social event. 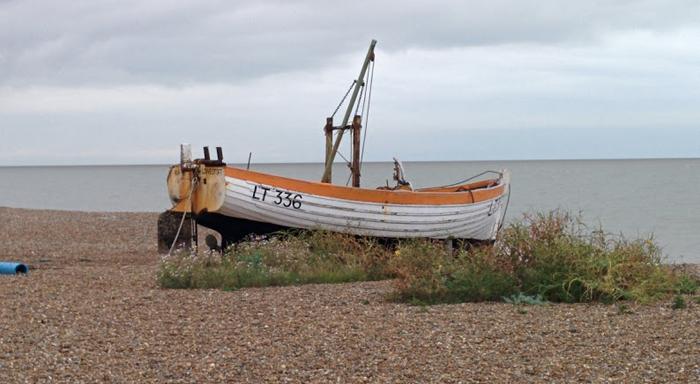 OK, so not everyone was at Aldeburgh. Hilaire wrote a lovely post about what she was planning to do while the tweet-heads were trying to get #APF15 trending. But in the crucible of Snape Maltings it was heady stuff. And for the ambitious and ballsy, there were plenty of people worth cosying-up to. Poets and networking don’t always sit happily together. It was fascinating to see how a few people went about it. I think you need to be single-minded and thick-skinned to do it properly. But do I do it myself? I acknowledge there’s a bit of the ‘networker’ in me but although I tinker at it I’m not really confident enough to consistently pull it off. There’s the added stress of course that, unlike in business, networking has a reputation for being loathsome. To get away with it, I think it really has to be done subtly, accompanied by lashings of charm and good humour. The only trouble is, you might start believing you’re not networking, just being charming and good humoured. And that’s when it becomes loathsome. On the first day I was pleased I hadn’t come alone as it seemed a little overwhelming. But being there with poet friends Charlotte Gann and Clare Best was brilliant, as was seeing so many familiar faces: the Brighton and Lewes contingent was impressive. I couldn’t help looking out for people I knew, or thought I might know via social media, and wondering whether to introduce myself or not. There were poets I knew (of) but not to speak to, and plenty I didn’t know at all. One of the great things was that the poet-presenters mingled and came to other people’s sessions, so there wasn’t a huge gulf between us and them. By day three I got the impression that everyone was more relaxed, me included. It seemed much easier to say a quick ‘thanks – enjoyed your session’ or ‘hello, are you so-and-so… just wanted to say hello’. 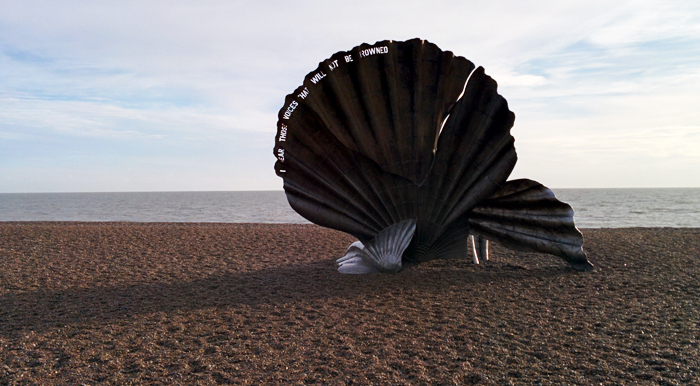 Aldeburgh is a wild place, especially in November. It didn’t stop a few poets (almost) skinny-dipping on Saturday morning while I was just about hauling myself out of bed. The weather wasn’t nice and the land around Snape Maltings (where most of the activity took place) was boggy, but staying on Aldeburgh seafront was quite magical. And the rain did clear up. This was the view from our house this morning before we left. The town is centred on one long High Street parallel to the coastline, its houses are colourful and quirky but this is a strange, end-of-the-world sort of place which seems to teeter on the edge of the North Sea. It’s well-heeled: ‘Chelsea by the Sea’ was how a poet friend described it to me. The town is famously where Benjamin Britten and Peter Pears lived, worked, held court, founded a music festival and created a huge heartland of music for much of the mid-twentieth century. The poetry festival used to take place here – but the story goes that some of the venues lost their health & safety credentials and the festival needed to expand in order to get the funding it needed. So everyone decamped to Snape Maltings 5 miles inland. There’s no doubt the various auditoria and the facilities there are fabulous. Some poetry festival events still happen in Aldeburgh but travelling to and fro during the day isn’t ideal, and if you don’t have a car you’re dependent on bus times. The weekend consisted of readings, craft talks, lectures, discussions, close readings and critique sessions/masterclasses. There was plenty of variety and a few free sessions (although I never made it to those, they were mostly 15 mins of a poet talking on a topic or on a poem he/she liked.) For me, the craft talks were where I learnt the most: Zaffar Kunial on line endings, Kei Miller on ‘the image that doesn’t quite close’, Kim Addonizio on turns. The main readings were on the long side – three poets each reading for half an hour with an interval between the second and third. On Friday evening I loved Helen Mort and Kei Miller. But after the break I was already tired (up at 7, five hours driving, three hours of poetry sessions). Like much of the audience, I was perplexed by the third poet who read, seemingly from a 1970s timewarp and determinedly ignoring the audience for his entire set. I struggled to stay awake. Still, it proved a talking point until 1am and for the rest of the weekend. Maybe the programming was designed to challenge us! I went to a lovely short reading on Saturday by Michael McCarthy and Christine Webb, two poets with fine pedigrees who I’d never encountered before. Fifteen minutes each was the perfect format, and in an intimate venue. Similarly, a ‘New Voices’ reading gave us the opportunity of hearing four relatively new poets over the course of an hour. There was something for everyone. At Tony Hoagland’s talk on Sharon Olds, one poet turned to me, indicated the empty seats and said ‘I thought EVERYONE would be here for this!’ To be fair, it did fill up more. Then afterwards as I made my way to the cafe I encountered another lovely poet who informed me of her great joy in NOT attending a talk on Sharon Olds. Tee hee. Over the whole weekend I discovered all kinds of poets, poems and collections I didn’t know and hadn’t read, international in scope, and that was one of the standout features for me. I struggle a bit with the Poetry Trust stage sets – piles of cardboard boxes with ‘Words’ printed on them. First of all, in the Britten Studio, the courses of bricks weren’t aligned properly. Everyone knows “the universal rule allowing for brickwork to be stable under even modest loads is that perpends should not vertically align in any two successive courses.” (Wikipedia) This wall was about to topple. Secondly, the boxes were clearly empty. So the overall message was ’empty words, ungrounded and easy to knock down.’ Is that a good image for poetry? Remember now – I had hours and hours to stare at those boxes. I’m a complete newbie to the festival but it was clear talking to people who have attended many times or been involved in one way or another that it is under threat, in terms of lack of funding, and it’s by no means certain the festival will be able continue. This, plus the fact that Creative Director of sixteen years Dean Parkin is stepping down, is very sad. 2015 was the first year of Ellen McAteer‘s Directorship and it was also very sad that she was unable to be there, for personal reasons. 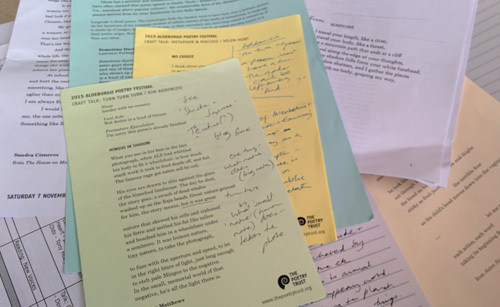 The Poetry Trust does a fine job on a shoestring. There were one or two aspects of the festival that got me a bit grumpy but I came away as impressed and as satisfied as all the fans on Twitter. So I hope finance can be found. I would go again – probably not next year though. Unless I win some money. It gets expensive. Zaffar Kunial – I can’t wait to get his pamphlet. A fabulous craft talk and a star reading. This guy’s the real deal. Kei Miller – everyone fell in love with him. The question is, does his twinkly smile remind me more of John Travolta or David Essex? Kim Addonizio – never mind the 1980s Madonna thing, I want her as my mentor. Besides, I love Madge. The seating in the Britten Studio – proof that good ergonomic design simply works. Tony Hoagland – another breath-of-fresh-air American whose reading was sharp, funny, poignant and moving. Poet friends Clare and Charlotte, my sorority house pals and the perfect travel companions. Here’s to wine, peanut butter sandwiches, chocolate and ibuprofen! Hi Jayne – aha! Yes, definitely worth going to… a few people were talking also about how good Stanza is, although that’s the other end of the country for me. Thanks for your comment. Loved reading this. I’ve thought about going, but without transport it looks like a difficult place to get to, and then all the backwards and forwards. It was good to read about it and maybe one day I’ll get there. Thanks. Thanks for a wonderful insight to what sounds like a great Festival. 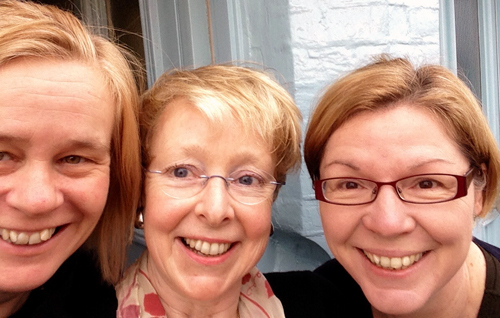 Interesting to read the view from the other side of Planet Aldeburgh – cheers! This is great, Robin. I have mentioned in in my Aldeburgh post on my blog.